A few months ago, I was asked by Marco Grimaldo, President of the Virginia Interfaith Center, to testify at the EPA during their public hearings to reduce carbon emissions in power plants. I had less than 3 minutes and the EPA would be hearing testimony by hundreds of folks, including clergy, throughout the day in order to craft initial legislation to regulate carbon emissions. It was a great exercise in crafting a story (I was told, "tell a story!" by those who had done this before) and I bought a clergy collar just for the moment. Focus of the story: the 60,000 honeybees that call Church of the Pilgrims home and are part of Sacred Greens, our urban garden, where we grow food to supplement meals for Open Table, our lunch for hungry neighbors each Sunday. 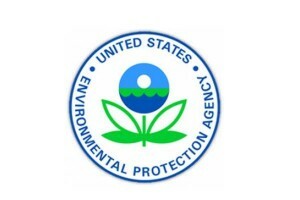 Best part of the experience: sitting down at the two-person desk, looking-up, and seeing a high school friend, Julia Miller, sitting at the table across from me as one of the EPA staffers hearing the day long testimonies. Julia is on the far left at the EPA table.